Five years ago, the U.S. 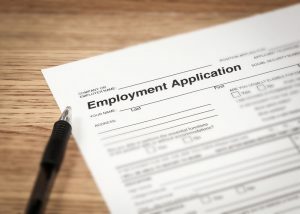 Equal Employment Opportunity Commission (EEOC) ordered Hussey Copper to pay $85,000 because the Leetsdale, Pennsylvania-based company refused to hire a job applicant who was in methadone maintenance treatment. Donald Teaford was offered a job as a production laborer, but the offer was rescinded—and this was illegal. The offer was conditional upon Mr. Teaford’s passing a medical examination, during which the company doctor learned that he was receiving methadone as part of treatment. The company mistakenly concluded this meant he was a safety risk, according to the EEOC. Mr. Teaford was qualified for the job, and had no adverse effects from methadone. The treatment program provided the company physician with documentation of Teaford’s successful participation. The Americans with Disabilities Act (ADA) is the federal law protecting people like Mr.Teaford, and it’s important for everyone involved in methadone treatment to know about it. “Methadone treatment is one of the most monitored and regulated medical treatments in the United States,” said District Director Spencer H. Lewis, Jr., of the EEOC’s Philadelphia District Office, in announcing the decision on February 11, 2011. That office oversees Pennsylvania, Delaware, West Virginia, Maryland, and parts of New Jersey and Ohio. 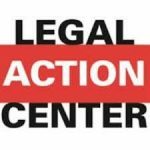 “This case should remind all employers that the ADA requires employers to make individualized assessments about an individual’s ability to do the job, instead of acting out of speculative fears or biases,” said Mr. Lewis. The EEOC first tried to reach a pre-litigation settlement with the company, but was unable to, after which it filed suit. In addition to the $85,000 monetary award to Mr. Teaford, Hussey Copper was to hire him as a mason utility laborer. Furthermore, Hussey Copper was then under a five-year consent decree enjoining it from further engaging in any employment practice that discriminates based on disability, and also requires workplace education on disability rights. Today, the same is true, and MMT patients should take heed of their rights, according to the Legal Action Center, a public interest law firm based in New York. “When you’re applying for a job, you don’t have to tell them anything” about HIV, hepatitis, or substance use disorders, including your status as a patient,” Sally Friedman, legal director, told AT Forum. You are not required to answer questions about treatment in a job interview; such questions can be part of a medical examination, but a medical examination can be performed only after a job offer has been made, with the offer contingent upon the medical examination. If you are applying to be a food service worker and you have hepatitis A, the job offer can be rescinded. But in most cases, if you are in treatment (whether with a medication or not), you cannot be denied the job, as long as you are not using illegal drugs. A drug test for illegal drugs is not a medical exam, and you can be given a drug test before you get a job offer. Until a job has been offered, there can be no questions about disability, no requirement for an HIV test, and no questions about substance use disorders (SUDs) (past or current). However, an employer may conduct drug tests before a job offer, and may condition hiring on results showing no illegal drug use. Patients who are on methadone, buprenorphine, or any other drug that will show up in a drug test, should give the lab a letter from the physician verifying prescriptions or participation in a methadone program, or both, and make sure the tester documents the prescribed medications, according to the Legal Action Center. In addition, the employer can require this test—or the conditional medical exam—only if everyone offered that position must take the same test or exam. During the job interview, employers may ask whether applicants drink alcohol or currently use illegal drugs, but they can’t ask how much or how often, because this could show a protected disability. There is no reason not to hire someone with HIV or hepatitis B or C—bloodborne diseases that can be transmitted via needle sharing. “The only defense the employer has is if the employee poses a direct threat to the health and safety of others,” said Ms. Friedman. This can happen with hepatitis A, which is transmitted orally, and therefore food service employers can legally refuse to hire someone with hepatitis A. But it does not apply to HIV, or to hepatitis B or C.
There is also confusion about the job applicant’s right to privacy, which is limited. Asked about the status of the information, she explained: “People think it’s private, especially HIV, because there are privacy laws. But privacy laws don’t mean you don’t have to tell anybody.” However, employers aren’t allowed to share the information. “Employers are required to maintain the confidentiality of information they get from a medical exam,” said Ms. Friedman. “They only need to share it with supervisors if the employee needs reasonable accommodation. The Legal Action Center has a presentation on these issues. AT Forum adapted the section below, consisting of examples, for opioid treatment programs (OTPs). Illegal discrimination based on a disability: Doctor’s office refuses to treat a man for his broken leg because he is in a methadone maintenance program. Legal actions: An employer fires an employee who caused an accident in the workplace because he was under the influence of alcohol or drugs; An employer fires an employee because her addiction results in repeated no-shows at work. Who is protected by the federal Americans with Disabilities Act (ADA): people with disabilities, people with a history or record of a disability, or people who are regarded as having a disability. A disability is a physical or mental impairment that substantially limits one or more major life activities, a history or record of such an impairment, or being regarded as having such an impairment. Examples of major life activities include working. A current SUD involving illegal use of drugs is not a disability under the ADA. A past SUD involving illegal use of drugs is a disability if it substantially limits one or more major life activities. The method of recovery is irrelevant to proving disability. Example: Claire was in a car crash two years ago and became dependent on narcotic pain medication. One year ago, she entered a methadone program. She has not used any drugs illegally since she began treatment. Claire is protected by the ADA even though her dependence on methadone does not substantially limit any major life activity. The reason is that she has a record of a disability (a SUD) which is why she is currently in methadone treatment. Presumably, others perceive Claire as having an impairment (SUD) due to her treatment in a methadone program. Therefore, Claire is protected by federal anti-discrimination law. Example: Mitchell has been in a methadone maintenance program for 6 years. He has a commercial driver’s license, a clean driving record, and no history of arrests. Mitchell applies to be an interstate truck driver, and reveals that he is prescribed methadone. The trucking company turns him down. This was legal because the federal Department of Transportation regulations disqualify people from having an interstate license if they are taking methadone. Example: Chris is in methadone maintenance treatment for opioid addiction. He applies for a job that would involve operating dangerous machinery, and tells the employer about his methadone treatment. The employer refuses to hire Chris, because he says he’s sure Chris’s methadone must make him sleepy, which would be dangerous when operating heavy machinery. This is not legal, because the employer’s decision is based on speculation–-he has not looked for objective medical evidence (e.g., speaking with Chris’s prescribing physician, or asking Chris himself about side effects of his medication). There is ample literature stating that methadone, when used properly pursuant to prescription, does not impair. The bottom line: Methadone patients do have rights, as do people with HIV or hepatitis. “Various government agencies are willing to help you enforce your rights, and the EEOC has regional offices throughout the country,” said Ms. Friedman.